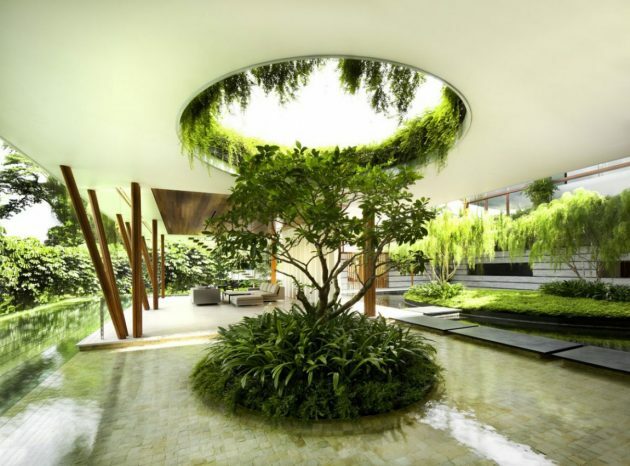 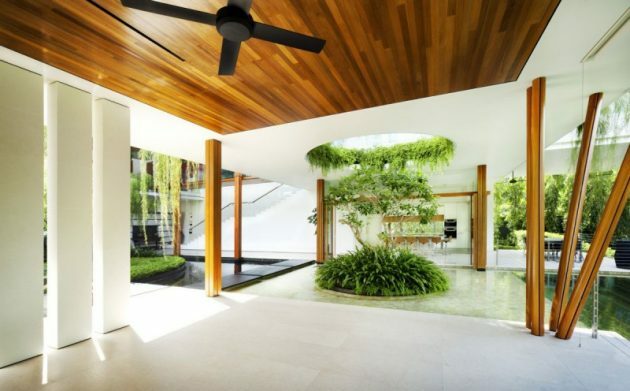 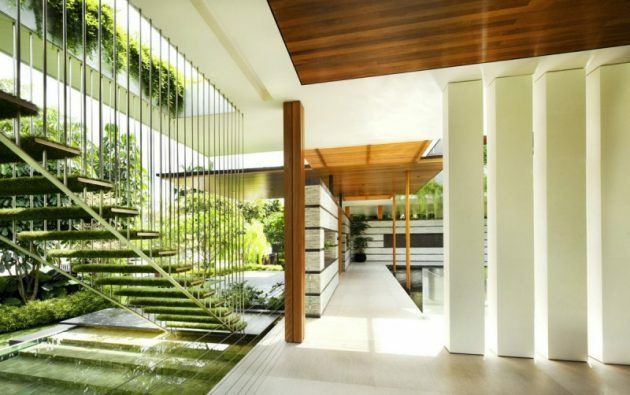 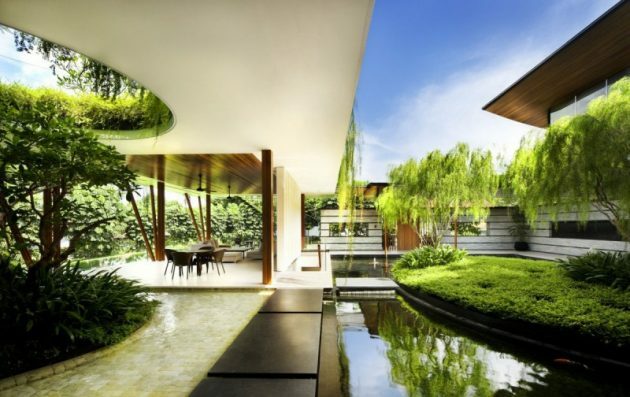 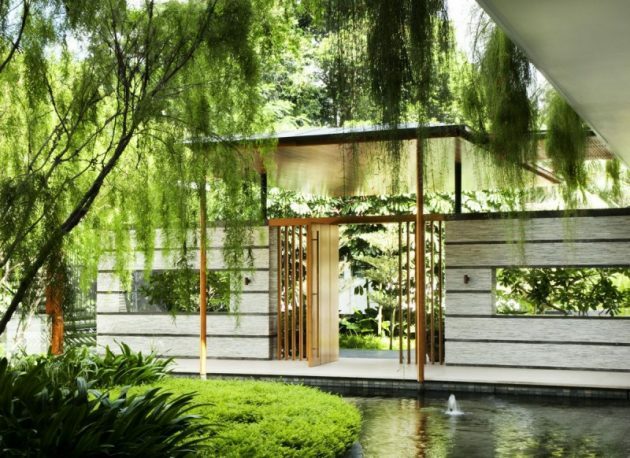 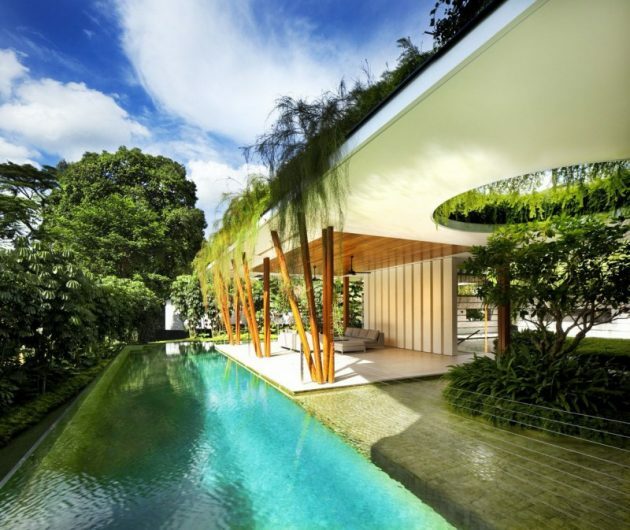 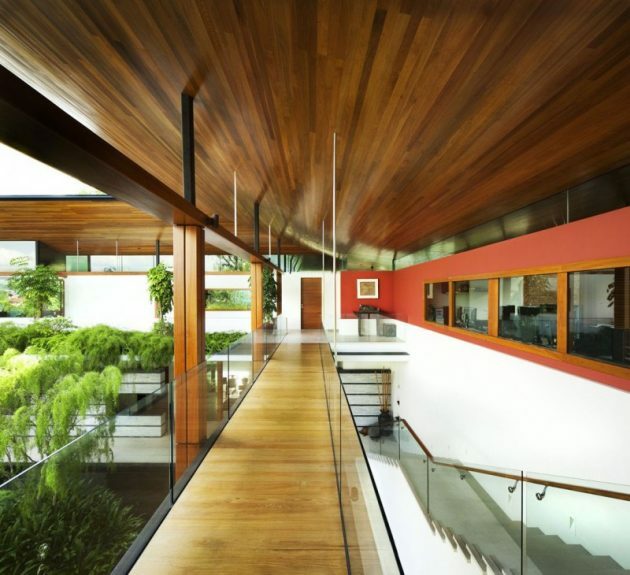 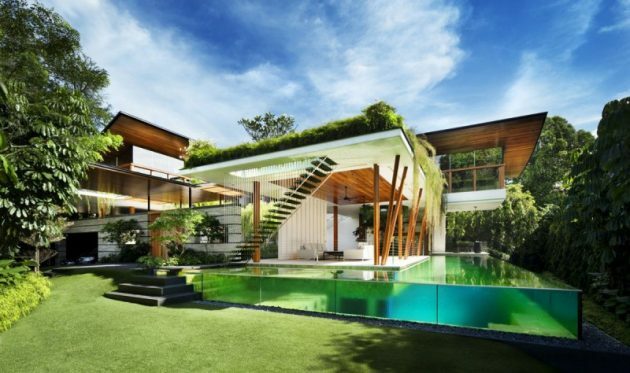 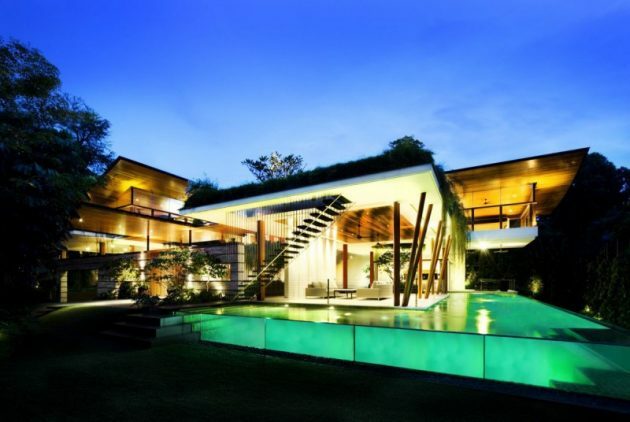 Guz Architects are responsible for the gorgeous greenery-laden design of the Willow House in Singapore. 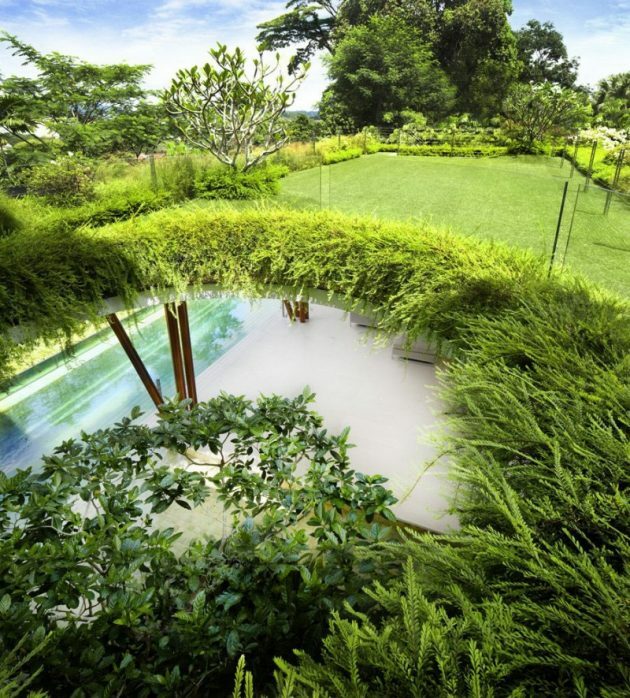 It is so open and green that it almost resembles a park. 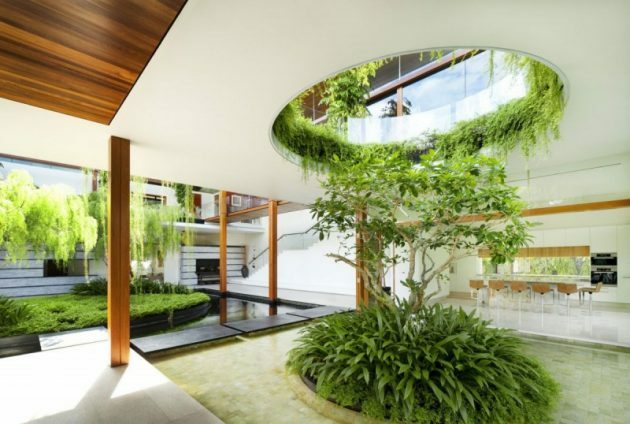 This residence has an open-style floor plan that integrates ponds, swimming pools, shallow reflecting pools and a couple of “holes” allowing trees to grow between the levels. 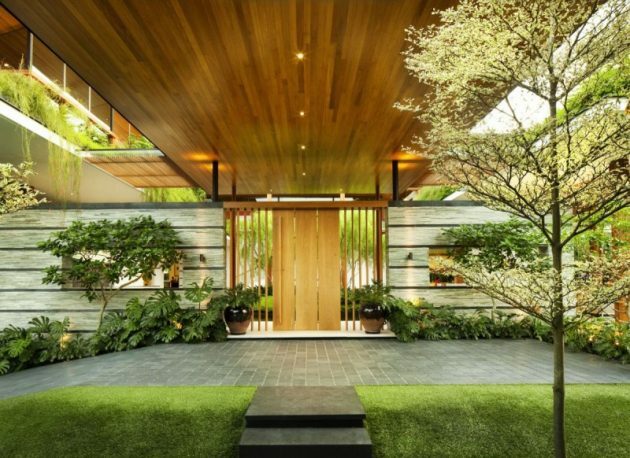 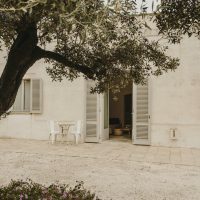 The Willow House is a contemporary home yet it is in perfect harmony with its natural surroundings in a minimal Zen inspired style consisting of muted gray stone and wood contrasted with crisp black and white elements. 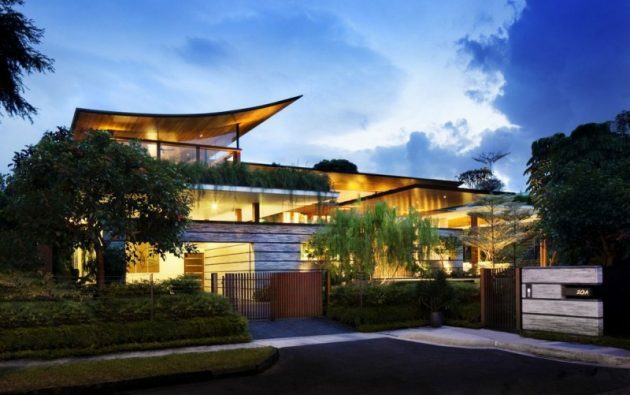 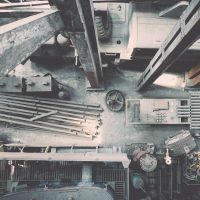 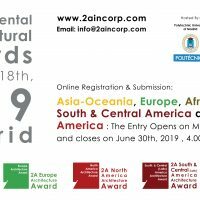 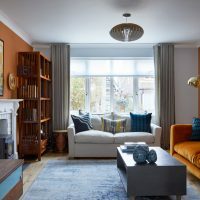 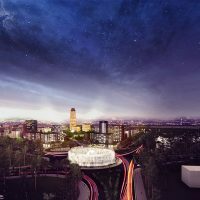 From the architects: “We tried to take advantage of it’s hilltop position by opening up the building plan to make the most of the prevailing breezes and of what little wind there is in Singapore. 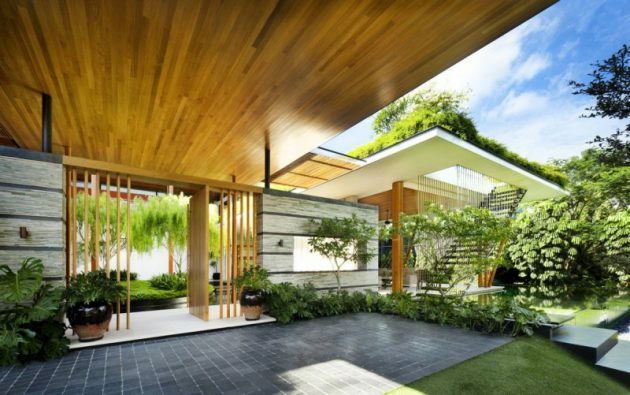 Orientation and massing of the house was instrumental in encouraging those breezes.